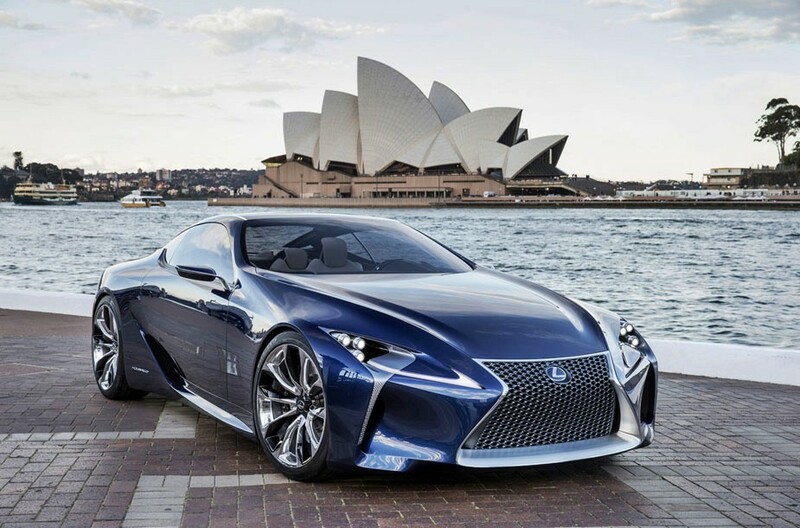 The 2012 Lexus LF-LC Blue Concept, based on the Lexus LF-LC Concept revealed earlier in 2012, made its official debut at the 2012 Sydney Auto Show. The Blue Concept receives a lightweight body, thanks to the extensive use of carbon fiber. 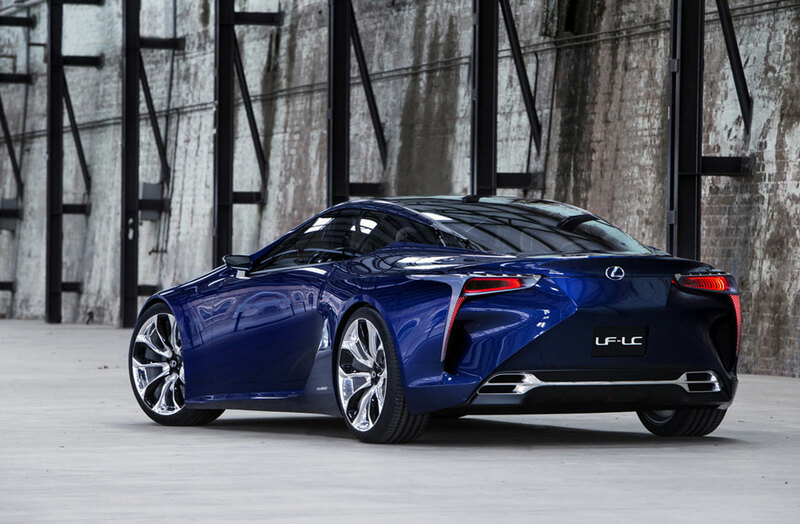 The car's exterior has been finished in Opal Blue color, hence the name LF-LC Blue Concept. 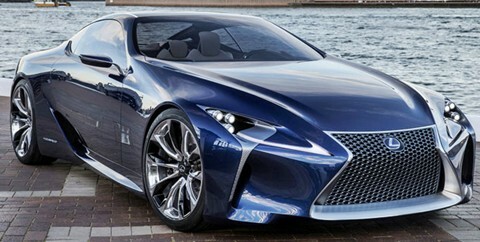 The Blue Concept uses Lexus' next generation Hybrid Drive-system called the Advanced-Lexus-Hybrid-Drive. This system comes with an efficient and powerful Atkinson cycle combustion power-train connected to a sophisticated high-energy batter pack. 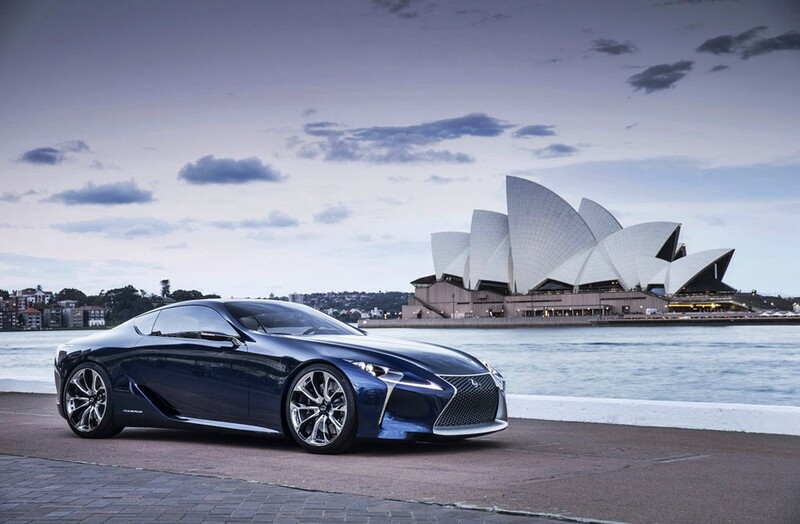 With this combination, the car generates up to 500 horsepower, making it the most powerful model of any hybrid ever made by Lexus. The Blue Concept is available in Opal blue exterior finish, with most exterior parts been made from aluminum and carbon-fiber. This vehicle carries the same L-shaped daytime lights as the original Concept. Moreover, the fading-dot-matrix pattern and the vertical fog lamps have also been included. The side profile is almost similar to that of the original concept; this is due to the intensely carved air intakes at the back of the doors and the wrap-around glass-roof dictating a panoramic view. At the rear, you will notice the spindle grille theme used in the former concept, which complements the front section. Other features found in the rear section include: fog lamps and an integrated tail that carries the same L-pattern as the front. The interior has a remarkable design that illustrates the contrast of sophisticated technology with organic shapes and soft textures creating a spectacular synergy of function and form. The cabin has an aesthetically-pleasing combination of suede and smooth leather to go with wood accents and brushed metal trim. The front seats are lightweight and race-inspired, has been created using multiple layers. The steering wheel on the other hand, also has a lightweight carbon fiber finish and it houses a start button as well as integrated controls. 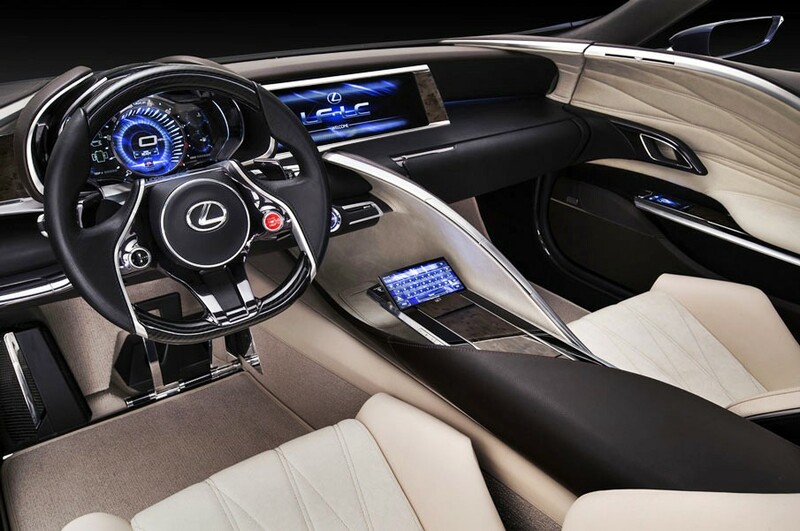 Other features found in the cabin include: a remote touch-screen gadget that enables the driver to operate various controls easily, and two 12.3-inch LCD monitors that provides navigation and information display. 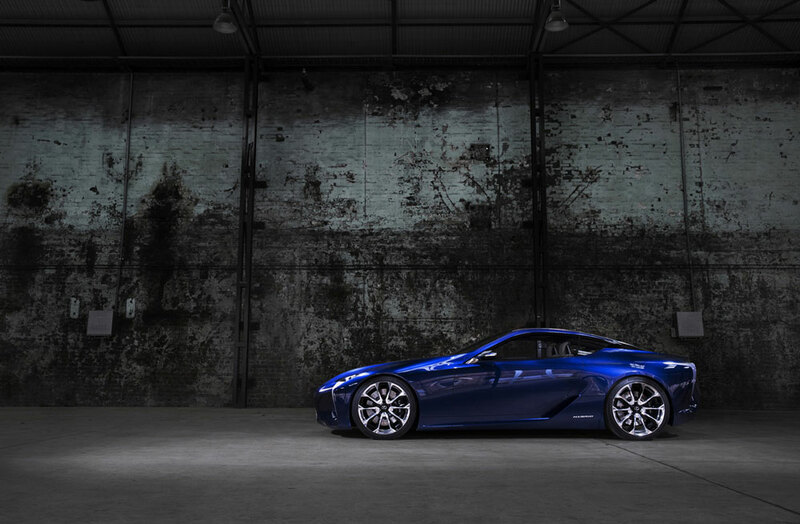 The 2012 LF-LC Blue Concept hints on what most enthusiasts should expect from Lexus in the near future. Its good looks, engineering innovations, and exciting design, make it a car to look forward to in the future.